The mission of the ALS Research Forum is to help accelerate development of new therapies for amyotrophic lateral sclerosis (ALS), by providing a trustworthy, open-access forum for research news and analysis, dedicated coverage of the latest industry news, and research tools and resources for the ALS research community. We aim for this portal to benefit both veteran ALS researchers and those new to the ALS field, and to provide relevant information for researchers in both academia and industry. We welcome your feedback and input as we work together to make this site a powerful tool to encourage more people to research ALS. The ALS Research Forum (www.alsresearchforum.org), known previously as the ALS Forum, was launched in 2009 in partnership with Alzforum (www.alzforum.org). Prize4Life aimed to create an online community for ALS researchers inspired by the Alzforum’s proven approach to advance research in Alzheimer’s disease and related neurodegenerative diseases, by providing insightful news analysis and open-access databases that facilitate data mining and visualization. In 2016, Prize4Life partnered with the ALS Association to support the ALS Research Forum and expand the news coverage and research resources on the site. The ALS Research Forum is funded by Prize4Life and the ALS Association thanks to the generous support of our donors worldwide. The ALS Research Forum was created by Prize4Life through a generous donation from The Bloomberg Philanthropies, and was partially supported by generous donations from the New England Patriots Charitable Foundation. Dr. Michael Benatar is a Professor of Neurology and the Chief of the Neuromuscular Division in the Department of Neurology at the University of Miami. He is also the first incumbent of the Walter Bradley Chair in ALS Research. 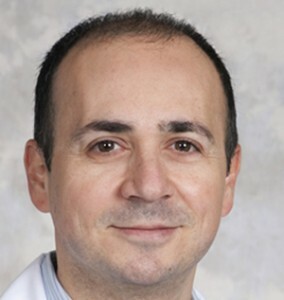 Dr. Benatar earned his medical degree from the University of Cape Town in South Africa and his PhD in Neuroscience at Oxford University in the United Kingdom. He also has a Masters in Science in Clinical Research, which he acquired at Emory University in Atlanta, Georgia. He completed his Neurology Residency and a Neurophysiology Fellowship at Beth Israel Deaconess Medical Center in Boston, Massachusetts. He is board certified in Neurology, Clinical Neurophysiology and Electrodiagnostic Medicine. He leads an active program of clinical and translational ALS research that encompasses clinical trials, genetics, and the development of physiological and imaging biomarkers. His research program is devoted to understanding the reasons why therapy development efforts have not been successful in the past and to development of effective treatments for patients with ALS. 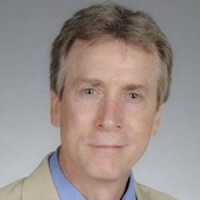 Dr. David Borchelt has been with the University of Florida since April of 2005 after 13 years on the faculty of Johns Hopkins University School of Medicine. He has authored, or co-authored, more than 130 research papers focusing on human neurodegenerative disorders. Dr. Borchelt received his Ph.D. from the University of Kentucky in 1986 where he studied the viruses that are similar to the virus that causes AIDS. After receiving his doctorate, Dr. Borchelt worked as a post-doctoral fellow with Dr. Stanley Prusiner at the University of California, San Francisco. Dr. Borchelt’s laboratory is focused on defining the basic molecular events that cause the symptoms ALS, with most of his work centering on the study of mutations in superoxide dismutase 1 (SOD1), which cause inherited forms of ALS. His work has provided the bulk of evidence to demonstrate that mutations in SOD1 cause it to misfold and aggregate as pathologic inclusions. More recently, his laboratory has shown that misfolded SOD1 can spread between cells in a prion-like mechanism that seems to mediate the spread of muscle weakness to the respiratory system that characterizes ALS and ultimately causes death. The current focus of the lab is to improve understanding of how misfolded SOD1 spreads throughout the spinal cord and determine whether the speed of spread can be modified therapeutically. The hope is that this work will identify therapies that will be broadly beneficial in the more common form of ALS that arise sporadically in the population. Dr. Inez de Greef has been Chief Executive Officer of Treeway since 2013. Treeway is a clinical-stage biotechnology company founded by two ALS patients with a mission to develop ALS therapies. In 2010, Inez de Greef co-founded 3D-PharmXchange, a consultancy firm providing integrated and immediate drug development and project management solutions to biotechnlogy and pharmaceutical companies. Prior to that, she was Director of Clinical Development and subsequently Chief Operating Officer of Kinesis Pharma. She is an expert in clinical pharmacology and quantitative model-based drug development. Inez has a training in Medical Biology from the University of Amsterdam, the Netherlands, and obtained her Ph.D. in the Department of Pharmacology of the Leiden Academic Centre for Drug Research at Leiden University in the Netherlands. 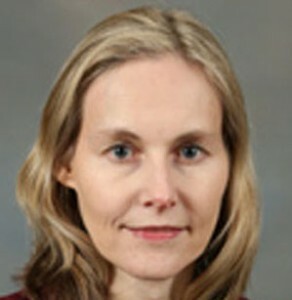 Dr. Amelie Gubitz joined the NINDS in 2006 and currently serves as a Program Director in the Neurodegeneration Cluster. Her portfolio includes basic, translational and clinical research on amyotrophic lateral sclerosis, X-linked spinal and bulbar muscular atrophy and hereditary spastic paraplegias. Dr. Gubitz earned a Ph.D. in pharmacology from the University of Cambridge, UK, and then completed a Wellcome Trust Fellowship at Harvard Medical School in circadian biology. Subsequently, she worked as a Senior Scientist in the target discovery group for neuropathic pain at Parke Davis, UK. In 2000, Dr. Gubitz joined the laboratory of Dr. Gideon Dreyfuss at the University of Pennsylvania where she studied the molecular pathogenesis of spinal muscular atrophy. Dr. Amanda Haidet-Phillips serves as Scientific Portfolio Director at the Muscular Dystrophy Association (MDA) where she manages basic and translational research grant portfolios for the diseases ALS, SMA, CMT, and Myasthenia Gravis. In addition, Amanda provides leadership for MDA through interactions with federal agencies, international neuromuscular disease partners, philanthropists, investors, drug development groups and bio-pharmaceutical companies, as well as with patient advocacy groups and other neuromuscular disease stakeholders. Prior to joining MDA, Amanda conducted ALS-focused research at Johns Hopkins University as a post-doctoral fellow in the lab of Dr. Nicholas Maragakis. Amanda received her Ph.D from The Ohio State University working with Dr. Brian Kaspar at The Research Institute at Nationwide Children’s Hospital. Amanda has co-authored 17 peer-reviewed manuscripts and her research has been supported through grants from the National Institutes of Health, The ALS Association, and MDA. 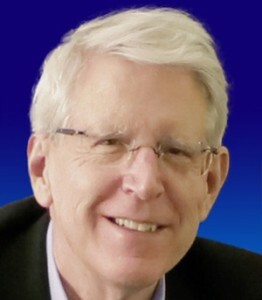 Dr. Tom Maniatis is currently the Chairman of the Department of Biochemistry and Molecular Biophysics at the Columbia University College of Physicians and Surgeons in New York and Director of the Precision Medicine Initiative at Columbia. He received his B.A. and M.S. degrees in Biology and Chemistry from the University of Colorado, and his Ph.D. in Molecular Biology from Vanderbilt University. After postdoctoral studies in Cambridge, England and Harvard University, Dr. Maniatis held faculty positions at Harvard University, The Cold Spring Harbor Laboratory and the California Institute of Technology. He is known for his pioneering work on the development of recombinant DNA methods and their application to the study of gene regulation. Dr. Maniatis is also a pioneer in biotechnology, founding Genetics Institute in 1980, ProScript in 1994, and Acceleron in 2004, where he chaired the scientific boards of these companies and served as a director. Dr Maniatis has chaired research and drug development committees for the Amyotrophic Lateral Sclerosis Association (ALSA), and has moved into the area of neuroscience where his laboratory is focusing on the molecular mechanisms underlying ALS. He is a member of the U.S. National Academy of Sciences and the Institute of Medicine and is the recipient of numerous prestigious awards, including the NIH Director’s Pioneer Award and the 2012 Lasker~Koshland Special Achievement Award in Medical Science. Dr. Davide Trotti is a Professor of Neuroscience at Thomas Jefferson University. Dr. Trotti began his career as an assistant professor in the Department of Neurology at Massachusetts General Hospital, Harvard Medical School. In 2006 Dr. Trotti moved to Thomas Jefferson University to start a research program on amyotrophic lateral sclerosis (ALS) and where he is now research director of the Jefferson Weinberg ALS Center at the Farber Institute for Neuroscience and Department of Neuroscience. The objective of Dr. Trotti’s laboratory is to understand the pathophysiology ALS and provide more directed molecular approaches to a cure. Dr. Trotti’s laboratory employs a variety of molecular, electrophysiology, imaging and cell biology techniques along with molecular and genetic tools, including animal models that recapitulate human ALS disease. 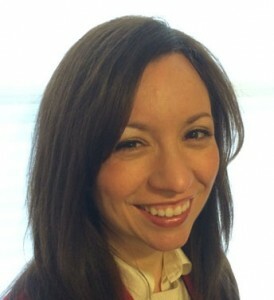 Michelle Pflumm, Ph.D., Managing Editor. Michelle Pflumm joined the ALS Research Forum in the role of Managing Editor in January 2017. She is a multimedia science journalist specializing in cancer and neurodegenerative diseases including ALS and FTD. Before joining the ALS Research Forum, Michelle reported the latest advances in ALS for ALS Today. She also reported the latest research news for Nature Medicine, Nature Methods and Boston Children’s Hospital. And, she managed research grants at the Harvard School of Public Health. Michelle earned a Ph.D. in molecular and cellular biology from the University of California, Berkeley, a B.A. in chemistry from Haverford College and a M.S. in science and medical journalism from Boston University. 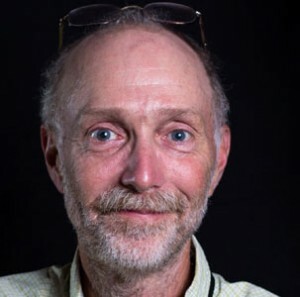 Richard Robinson is a freelance science journalist, who has specialized in neuroscience and cell biology for 20 years, writing for Neurology Today, PLOS Biology, Journal of Cell Biology, and others. He earned a B.A. in biology from Antioch College and taught high school biology for 16 years at the Commonwealth School in Boston, MA. When he’s not writing, he grows organic produce at Hopestill Farm in Sherborn, Massachusetts. Noa Davis, PhD, Chief Scientific Officer, Prize4Life. Noa supports identification of new content and planning of new resources for the ALS Research Forum. Before joining Prize4life in 2017, she served as R&D Director at Micromedic Technologies and as a Research Associate in the Sackler School of Medicine in the Tel Aviv University in Israel. Noa’s research focused on various fields of biology, including human genetics, molecular biology and anatomical pathology. 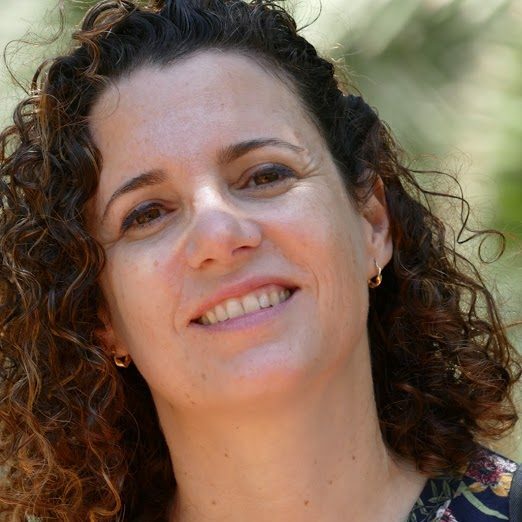 She holds an MsC and PhD from the Department of Human Molecular Genetics and Biochemistry at the Tel Aviv University. 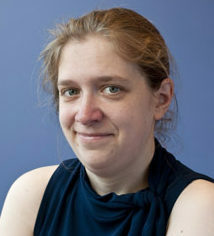 Lucie Bruijn, Ph.D., MBA. Chief Scientist, The ALS Association. 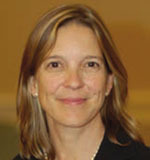 Lucie is Chief Scientist of The ALS Association, and joined the organization in 2001. She joined the ALS Research Forum in 2016. Lucie co-develops strategy and new resource planning for the ALS Research Forum and serves as scientific advisor to the program. Prior to the ALS Association, Lucie led a team at Bristol Myers Squibb developing in vitro and in vivo model systems for neurodegenerative disease. She joined Dr. Don Cleveland’s laboratory as a post-doctoral fellow in 1994 where she developed and characterized a mouse model of ALS. In addition, in collaboration with Dr. Robert Brown, she looked for neurofilament mutations in familial and sporadic ALS patients. 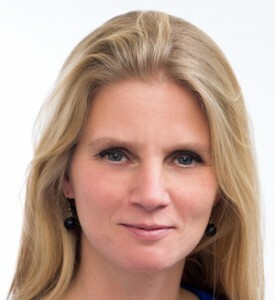 Lucie received a Ph.D. in biochemistry, specializing in disease mechanisms of Alzheimer’s disease, at the University of London, United Kingdom and her MBA at Imperial College, London, United Kingdom. She holds a Bachelor’s degree in pharmacy from Rhodes University, South Africa. Prize4Life supports editorial efforts of the Alzforum team to cover ALS relevant research and conference news. All content on the ALS Research Forum created by the Alzforum team is managed and edited independently by the Alzforum. Former Prize4Life team members: Melanie Leitner for conceiving of and developing the ALS Forum, and A. Sheila Menzies and Jessica Goodman for their dedication to building the eNewsletter community and expanding the resources on the site. Alzforum: Prize4Life would like to thank the entire Alzforum team, past and present, for the longstanding partnership. 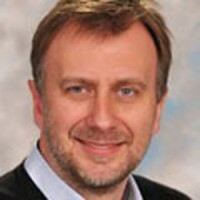 ALSGene: Lars Bertram of the Max Planck Institute for Molecular Genetics in Berlin, Germany, for developing the ALSGene database.